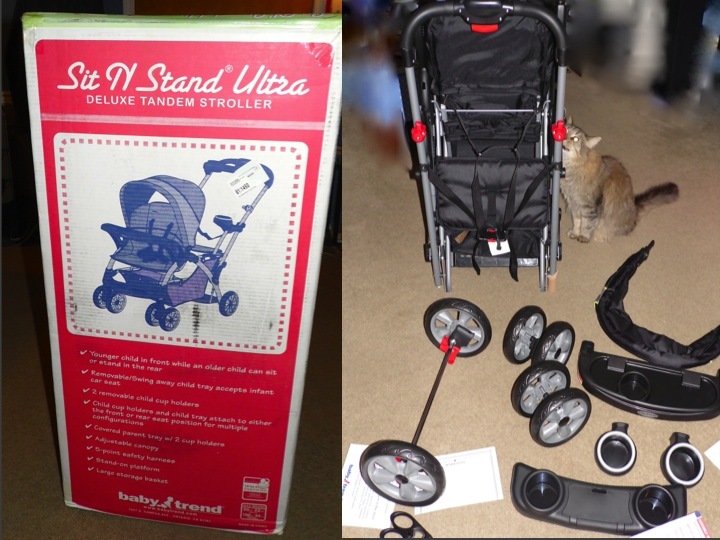 Baby Trend Sit N' Stand Stroller Review & #Giveaway! - Tired Of Being Pregnant? Me Too. Baby Trend Sit N' Stand Stroller Review & #Giveaway! Ollie is growing up and getting restless in his stroller. The Sit N stand allows him to have options, and it makes it easier on us not having to get him in and out repeatedly on walks through the zoo or park. In the event that we have a baby 2 (Don’t get any ideas just yet you all!) The sit n stand is made for just that. 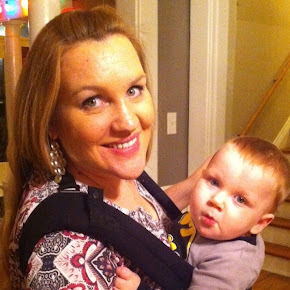 We can put a newborn carrier in one section (Front or Back!!) 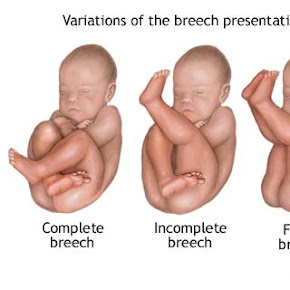 until the baby is big enough to sit upright, while Ollie sits (or stands) in the other. For traveling across the world, or just through the airport, the sit n stand holds our luggage. The stroller is perfect for our family now and later. FTD chose The Baby Trend Sit N' Stand® Ultra Stroller- Reseda Item #: SS66436. • Accepts all Baby Trend and most major brands of infant car seats. Front/Back Seat: Sit upright unassisted ~ 50 lbs or 40"
Here is a short video overview of the stroller. FTD here Ladies and Gents! 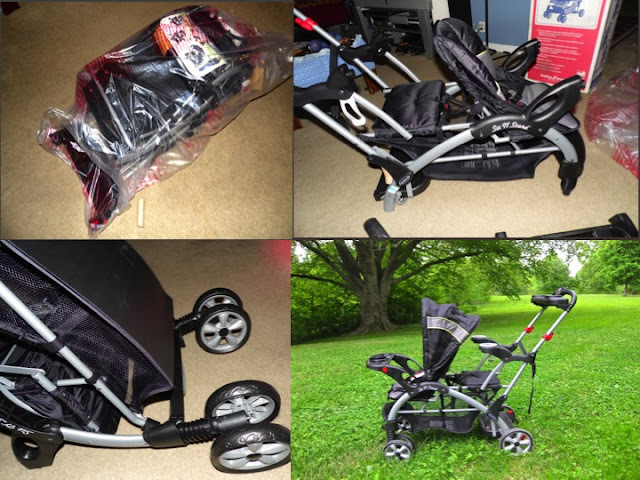 I thought I'd share a few points and facts about the assembly and features of this stroller and how it stacks up against the others we've used over the past 15 months or so. I was a little bit worried when the box arrived as it was quite large. I organised my tools, cracked open a sly beer and mentally prepared myself for hours of screwing, tightening and reading manuals in Chinese. How wrong I was! This is easily the simplest and most basic assembly of a stroller EVER in the history of strollers!!! See! only a couple of pieces* to assemble. 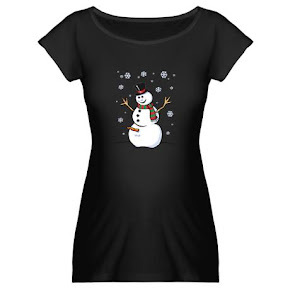 *Professor the cat not included. The manual was very simple to understand. I had a quick read (ie: looked at the pictures) and less than 10 minutes later was pushing it out the door. I kid you not! Remove the plastic wrap, pop the wheels on, snap the trays and the shade on and YOU'RE DONE! In fact I was stunned when I emptied the box and laid out the parts and realised that there was absolutely NO SMELL. Usually there is some kind of sickly sweet plastic scent that takes a few days or weeks of use to disappear...Not with this Bad-Boy! I sniffed and snuffed and was left amazed. The wheels are super sturdy, the frame has a stylin' almost indestructible silver-grey paint, there's HEAPS of storage, the grips are the comfortable "non-sticky" type, the fabric is breathable and easily cleaned BUT most importantly there are FIVE Cupholders! FIVE! The upper two comfortably held my beer while I trudged about the busted, uneven pavement - daring the cans to topple. Yet they survived! That's a FIRST ladies and Gents! The other two easily interchangeable holders were perfect for Ollie's snacks and a bottle of water and were equally sturdy! I LOVE this thing! The handy streamlined "parent" tray held the old iPhone, wallet and keys and the kiddie tray has another drink holder and was cleverly designed to quick-release so you can get a kid in and out FAST! 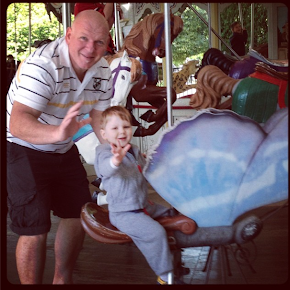 Most Importantly...Ollie loves it too! He happily jumps into the "backseat" where he can watch me push him about or if he's sleepy, I just pop him in the front and let him recline and relax. He can stand and eat his snacks in the back, the shade was easily adjustable to block sunlight and the whole thing is SAFE with buckles, straps and a five point harness too. WELL DONE Baby Trend! Finally...a future-proof, well designed, sturdy stroller that can hold my beer too. 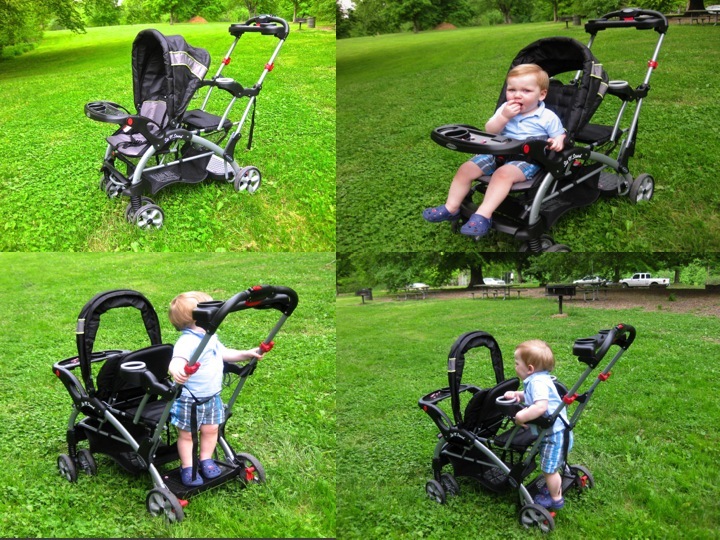 My personal review of the stroller is that it is above and beyond what I expected! I thought it was going to be too big and cumbersome to push. Wrong! I thought it was going to be too heavy for everyday use. Wrong. I have been able to go up and down curbs with ease. I have been able to go over bumps and through trails in the woods with ease. I have been so impressed with the maneuverability of this stroller that I don't even hesitate over broken sidewalks and walking it over the grassy areas in the park! I really cannot recommend the Baby Trend company enough. They have a huge selection of products that all have incredible reviews across the Internet, and are priced very reasonably! I promise you, Baby Trend did not pay me to say any of this, and it is my honest and wholehearted opinion that Baby Trend makes great products at a great price, which is huge for new parents. WAIT! 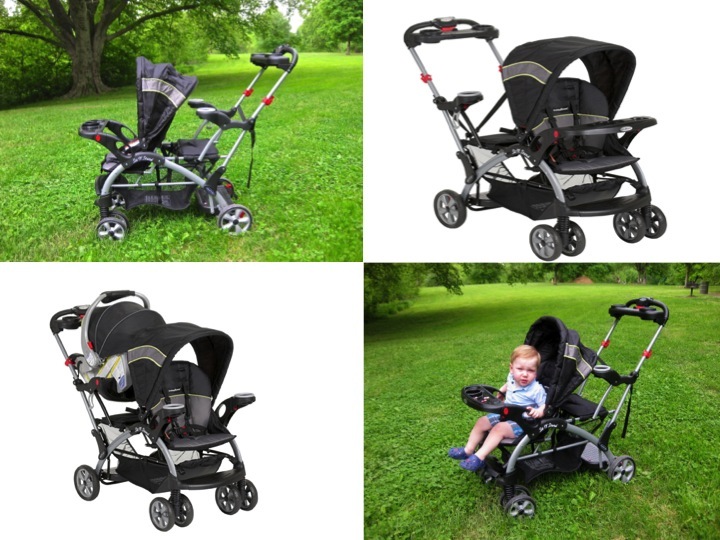 There is more.... because the Baby Trend family is so awesome they are giving away, to one lucky reader, a Sit N' Stand® Ultra Stroller- Reseda Item #: SS66436. Enter to win below! Happy Mother’s Day from FTM&D and Baby Trend! !